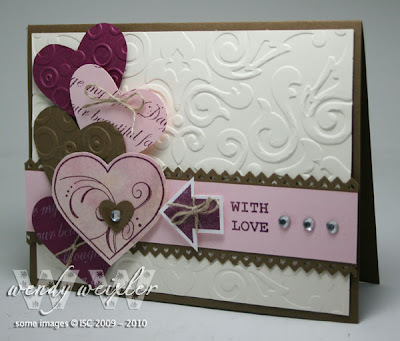 Here are a couple of samples I made featuring a new stamp sheet from ISC called "With All My Love." I had soo much fun creating this card ... I have always had a weak spot for anything heart-shaped - I have been collecting heart-shaped jewelry items since I was a little girl, and I hate to admit how many stamp images I own that are hearts!! Seems we never get tired of them, eh? Starting the New Year with something different…. introducing ISC Digi-Paper. A downloadable file! Totally gorgeous! I enjoy your blog so much. Thanks for sharing your talent. I love the cards, and that is a very manly tailored bow on the second card!! But I wish you would tell me what embossing folder you used on the top card, because it is totally NOT Spots & Dots! Thanks! More CHA Fun & TEMPLATES! Fun and Friendships at CHA! 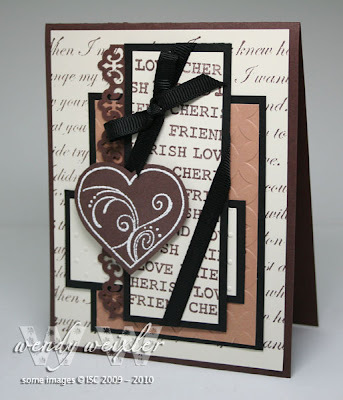 New Stamps from ISC - "Love is in the AIR!"